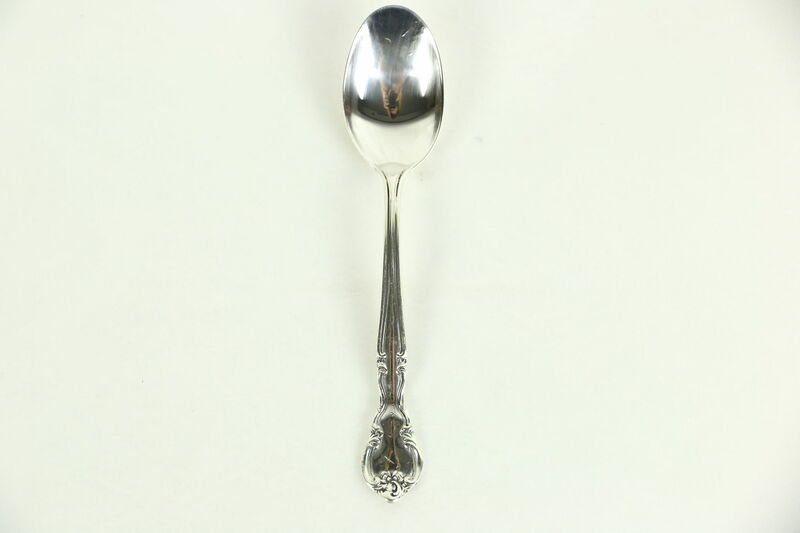 A sterling silver demitasse coffee spoon is signed "Easterling" in the "American Classic" pattern. There is minor wear and scratches, see photos. This sweet little spoon is 4 1/2" long. USPS Shipping is $2 in the US.